Among the least-chronicled aspects of post-World War II European intellectual and cultural history is the story of the Russian intelligentsia after Stalin. Young Soviet veterans had returned from the heroic struggle to defeat Hitler only to confront the repression of Stalinist society. The world of the intelligentsia exerted an attraction for them, as it did for many recent university graduates. In its moral fervor and its rejection of authoritarianism, this new generation of intellectuals resembled the nineteenth-century Russian intelligentsia that had been crushed by revolutionary terror and Stalinist purges. The last representatives of the Russian intelligentsia, heartened by Khrushchev's denunciation of Stalinism in 1956, took their inspiration from the visionary aims of their nineteenth-century predecessors and from the revolutionary aspirations of 1917. In pursuing the dream of a civil, democratic socialist society, such idealists contributed to the political disintegration of the communist regime. Vladislav Zubok turns a compelling subject into a portrait as intimate as it is provocative. The highly educated elite--those who became artists, poets, writers, historians, scientists, and teachers--played a unique role in galvanizing their country to strive toward a greater freedom. Like their contemporaries in the United States, France, and Germany, members of the Russian intelligentsia had a profound effect during the 1960s, in sounding a call for reform, equality, and human rights that echoed beyond their time and place. 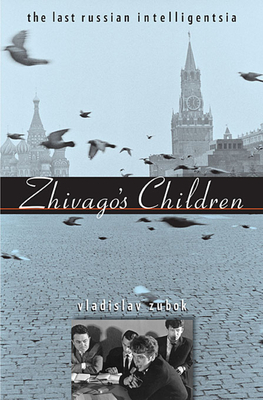 Zhivago's children, the spiritual heirs of Boris Pasternak's noble doctor, were the last of their kind--an intellectual and artistic community committed to a civic, cultural, and moral mission.